The Mecair patented "Full Immersion" system consists of a round header tank with fully integrated 500 Series diaphragm valves. The 500 Series diaphragm valves provide manufactures of reverse pulse filters with performance and installation benefits far in excess of traditional diaphragm valves. 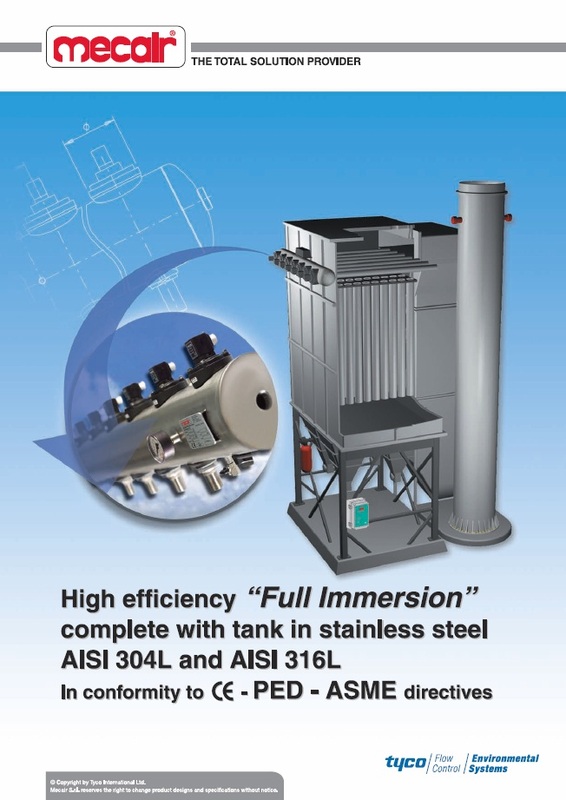 Manufactured in accordance with the CE directive, the fully immersed system is available in 4 tank diameters (5", 6", 8" & 10").